Welcome to Campus Living at Puget Sound. 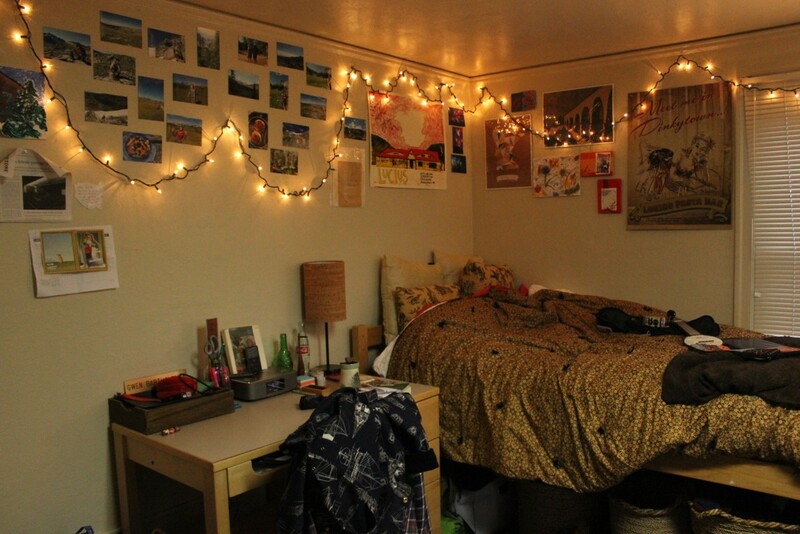 We are excited to have you build a home-away-from-home as a student at Puget Sound. This page has all the information you need to prepare to move-in to campus residences in August. Residence halls will begin opening for freshmen at 9 a.m. on Saturday, August 24, 2019. Arrival on this date is important to a successful start of your transition to Puget Sound and New Student Orientation. Residence halls will not be open prior to this date. 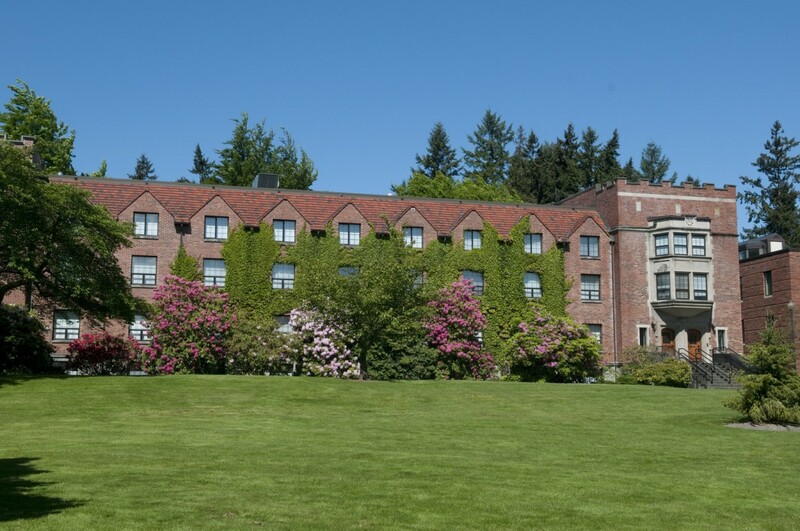 We are excited to join with you in building a strong sense of residential community, enjoying the beautiful Puget Sound campus, and learning about Northwest traditions. We look forward to welcoming you to campus living in August! Read more about moving in. Sophomores are invited to return to campus Friday, August 30, 2019. Learn more about sophomore move-in and Welcome HACK! All continuing students are invited to move in Friday-Sunday, 9 a.m. - 7 p.m., August 30-September 1. Check in is in Wheelock Student Center, in the Piano Lounge next to Diversions. Continuing students are not permitted to move into campus residences prior to their move-in date. A limited number of students are permitted to move in early who are conducting official university business to support our move in process, such as students employed in Residence Life, the Diner, Catering, and Orientation Leaders. Students on the early arrival list are approved by their coach, supervisor, or advisor who coordinates with Residence Life to provide this access. Residence Life is not able to accommodate requests from individual students. Transfer students planning to participate in the Passages program will check in after 9 a.m., on Saturday, August 24. 2019, along with all entering new students. International students may move in one day early on Thursday, August 29, 2019. Orientation for international students beings on Saturday. Please contact Eowyn Greeno (egreeno@pugetsound.edu) to arrange your arrival on August 17. Move-in for new students will begin at different intervals based upon where you have been assigned to live. The intervals are created to allow maximum usage of your time and to avoid excessive waiting, which occurs when everyone arrives at the same time. If you have been assigned to live in a room which starts with a “3” (for example, Room 321), you may move in at 9 a.m. If you are assigned a room with a "0" or a “4” as the first digit, you may move in at 9:45 a.m. Students assigned to rooms with a “2” as the first digit may move in starting at 10:30 a.m., and those that have a first-floor room may move in starting at 11:15 a.m. Again, we ask that you not arrive prior to the designated times in order to avoid lines and congestion with parking. If you plan to arrive on campus earlier than your designated move-in time, we suggest you report to the Wheelock Student Center and complete the check-in steps for New Student Orientation before reporting to your new residence on campus. The check-in process will occur in or near the main lobby of your residence hall. Please follow posted directional signs to your check-in station. Resident Assistants (RAs) will be on hand to guide you through the check-in procedures as well as to answer any questions you or your family may have about Puget Sound. The Resident Director for your living area has also enclosed a special welcome letter in this packet. During the check-in process, we have designated a specific unloading area for you based on your housing assignment. Please use the parking lot listed below that corresponds with your building. If you will reside in Regester Hall use the parking lot located at North 14th and Union streets. If you will reside in Schiff Hall or Smith Hall,use the parking lot located at North 18th and Lawrence streets. These areas will be designated as unloading zones only. Once you have unloaded your personal belongings, you will be directed by staff from Security Services to the nearest permanent parking lot for the duration of the New Student Orientation weekend. Continuing students can check in at the Piano Lounge next to Diversions to get your key(s) to your housing, regardless of where on campus you are living. Your card access will automatically be turned on. Please note Residence Life is unable to provide hand trucks for students to move boxes. Note: Replace each “0000” with your specific, assigned campus mailbox number. If you do not have an assigned campus mailbox number by the time you are ready to ship your packages, please contact Mail Services at 253.879.3315. Packages will be available for pick up at a Mail Services package trailer on Saturday, August 18 (9am-4pm). To claim your package(s), bring photo ID and your package notice that can be found inside of your Campus Mail Box. For more information about collecting your package(s), please contact Mail Services at 253.879.3315, or look for posted information when you arrive regarding the location of the package trailer on campus. Should you decide to ship any of your belongings by Greyhound or train, please be aware that you are responsible for having them picked up at the station. The university cannot pick up packages at the bus or train station and cannot accept COD packages. You should mail only those items that you will not need to have immediately upon your arrival. Since packages have been known to be delayed in the mail, it is a good idea to bring with you the items you will need immediately. Residential facilities will not be open prior to opening day. Please understand that this package holding service is made available to you because we cannot otherwise accommodate students or belongings that arrive to campus earlier than the scheduled move-in date. Please be sure to consult the Important Dates to Know when planning your arrival (and departure). As a helpful hint for packing, please remember that almost everything you bring to campus must be taken back home with you when the academic year ends in May. Although there is some space on campus allotted for residential summer storage, students are limited to a maximum number of 5 boxes per person. The university is not responsible for any items left in storage. The university cannot store bikes, rolled carpets or mattress pads, furniture, computers, refrigerators, etc. 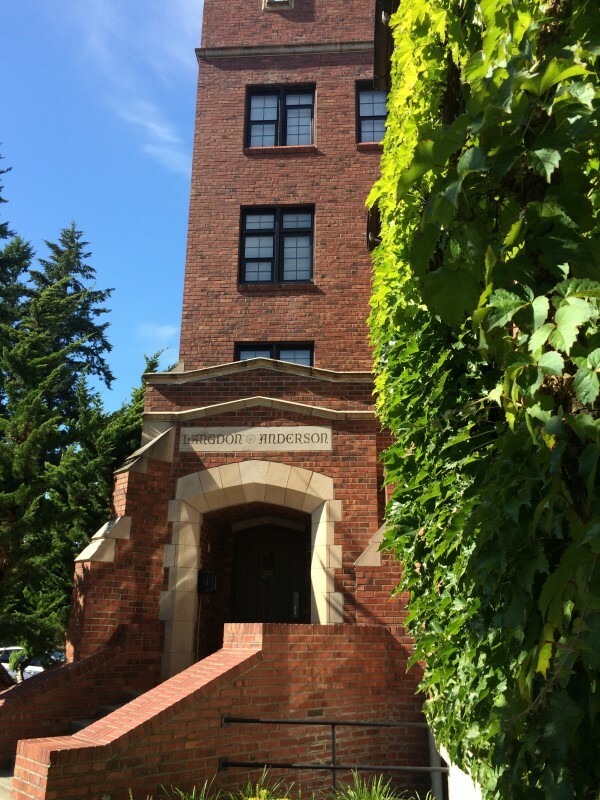 If you have questions regarding this information, please feel free to contact Residence Life located at 3209 N. 15th St. by calling 253.879.3317, or Mail Services located in WSC 003 by calling 253.879.3315. Your room will be furnished with the following furniture (measurements are approximate): wardrobe (45”x51”x24”), desk (42”x24”), desk chair, drawers (22”x22”x5”), bookcase with 2 shelves (30”x16”x15”), and bed (all beds are extended-length 80" twin, except in the Langlow House, which has standard-size twin beds). Learn more about amenities for each hall. All on-campus residences, including Greek houses, campus houses, Thomas, and traditional residence halls have free laundry, cable, and wireless internet. Please leave your family pets (excluding small fish), any halogen lamps, or appliances with exposed coils (toasters, toaster ovens, hot plates) at home – these items are prohibited in our residence halls. Microwaves and fridges are popular amongst many students, are available to rent through the Resident Student Association on move-in day, at noon behind the Student Diversity Center (the ally between N. 15th and N. 16th). We have a limited inventory, and fridges go fast! Read more about RSA’s fridge rental program. You may choose to purchase your own mini-fridge, but be advised these units cannot be stored in our on-campus storage facilities over the summer. Campus involvement enhances your classroom learning and you will find a wide range of opportunities for developing leadership skills. 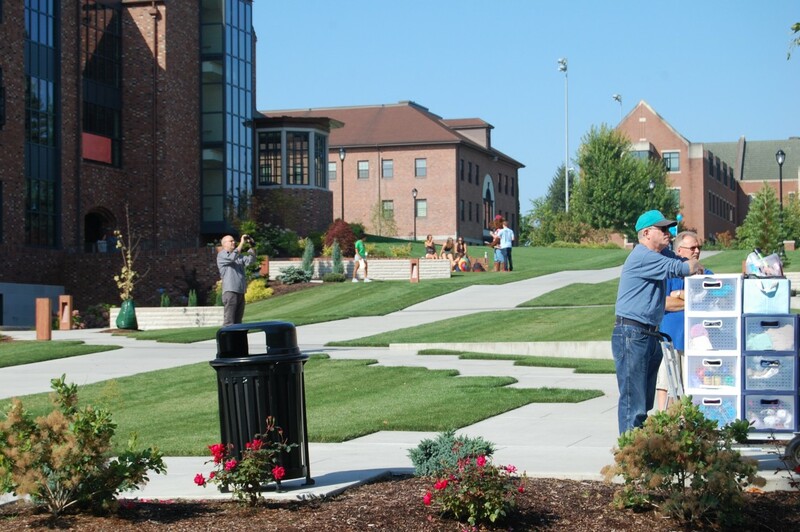 Our campus activity fair, LogJam, will take place in our backyard, Todd Field, on the first Friday of classes. Another great opportunity to get involved is through your residence hall’s Residence Hall Association (RHA), the hall’s governing body. The RHA board will be elected in early September, so keep an eye out for more information when you arrive on campus, or talk to your hall’s Resident Programming Advisor (RPA). Read more about RHA., and the elections process. Puget Sound requires all students to live on-campus for their first two academic years with the university. Read more about the university’s residential policy. If you have decided not to attend Puget Sound this fall, please notify Residence Life in writing as soon as possible. Failure to do so before the end of the first day of classes by 5 p.m. may result in a bill room charges for the entire fall semester.